Time to pull an audible! 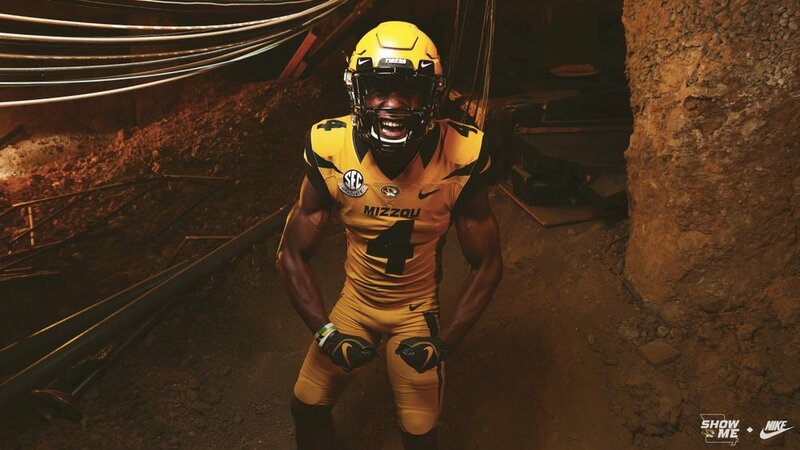 Missouri is coming out this week in their all gold uniform. The Tigers pulled an audible this morning and busted out a gold helmet to finish off the All Gold look. For the first time in school history Mizzou will wear a gold helmet. 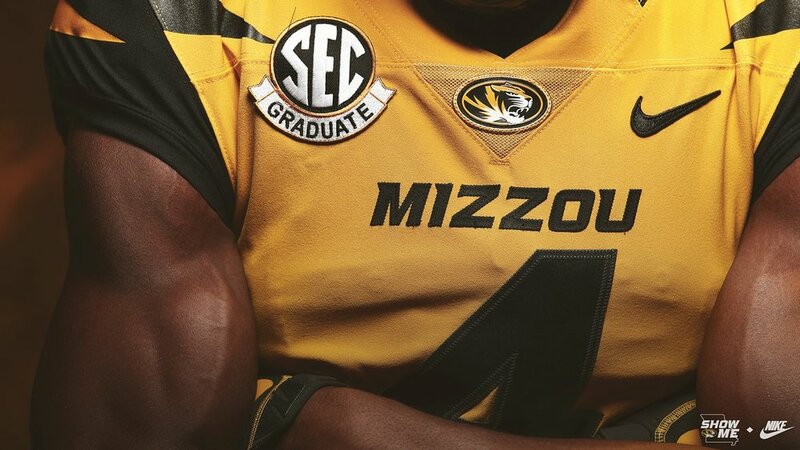 The gold jersey features MIZZOU across the chest with their signature stripes down the sides of the pants.